I would say dipped, not tanked. 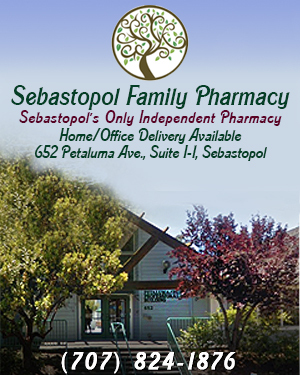 It did look shaky at first, but things have mostly returned to normal, at least in Sebastopol. I still see lots of local goods, especially produce, and a lot of the same friendly staff. I find their customer service friendly and effective. I agree about TJ's prepacked produce. Doesn't work for me. I appreciate that people support local Andy's, Fircrest, Bill's, and Community Market. For health reasons, I really have to get everything in one place. For affordable, mostly all organic, that's Whole Foods. Please, John. Don't sugar coat it. Give it to us straight! I am no fan of CVS or their corporate leaders and do not shop there. I do take offense at your attacking their workers as "slimy maggots". They are working people who need the job, and from what I hear on this site, they are doing their best under bad circumstances. Last edited by Barry; 02-14-2019 at 10:37 AM. Agreed. I personally do not shop there, but let's not diss the workers, please. Doing the best they can. All kinds of reasons why they might need this particular job. it is great to support local markets, however, in my case, and that of many people I know in this town, who do not have vehicles and do not drive, while additionally most are rarely offered rides. I know this to be true because we, us non-drivers, have lamented to one another about the often repeated, "sorry," when asking the single person driver iwho then winces when saying he (or she) can't make room in their car or truck due to having all kinds of crammed goods inside. Many versions on theme one. So, it makes sense to me to have a Trader Joes in town.